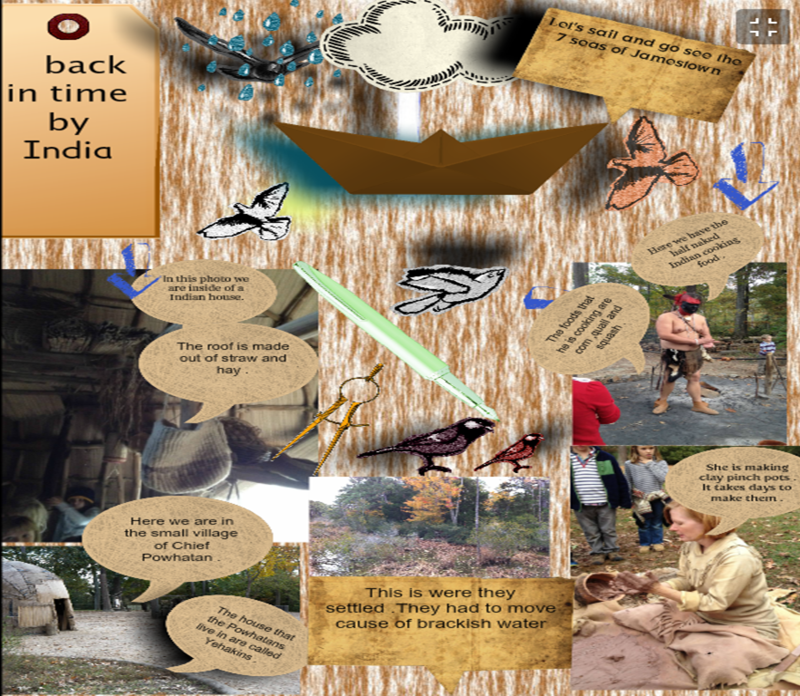 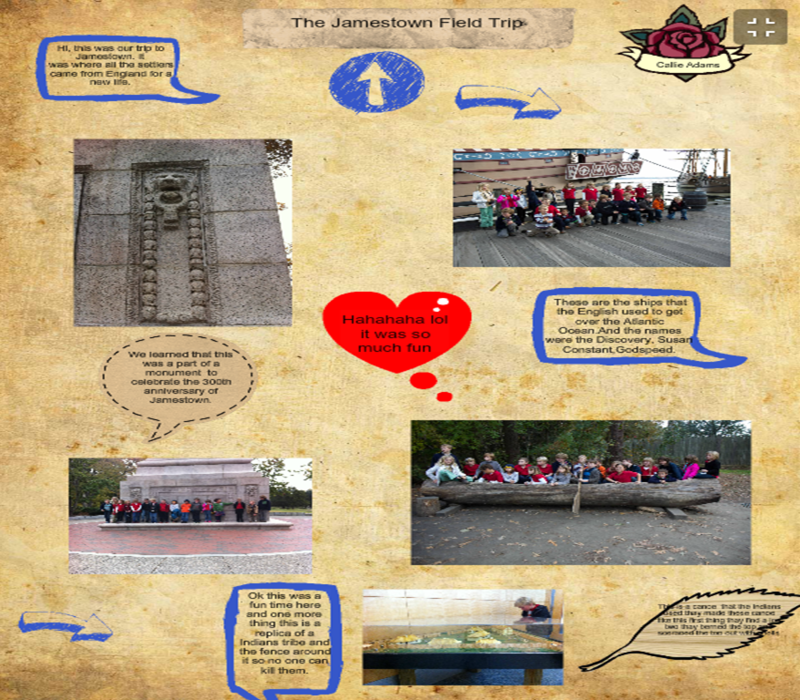 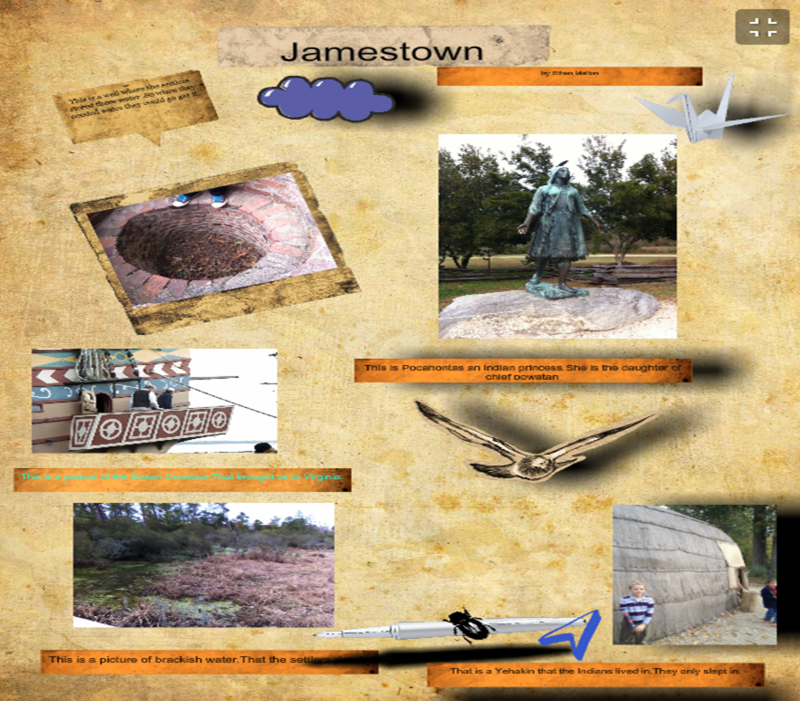 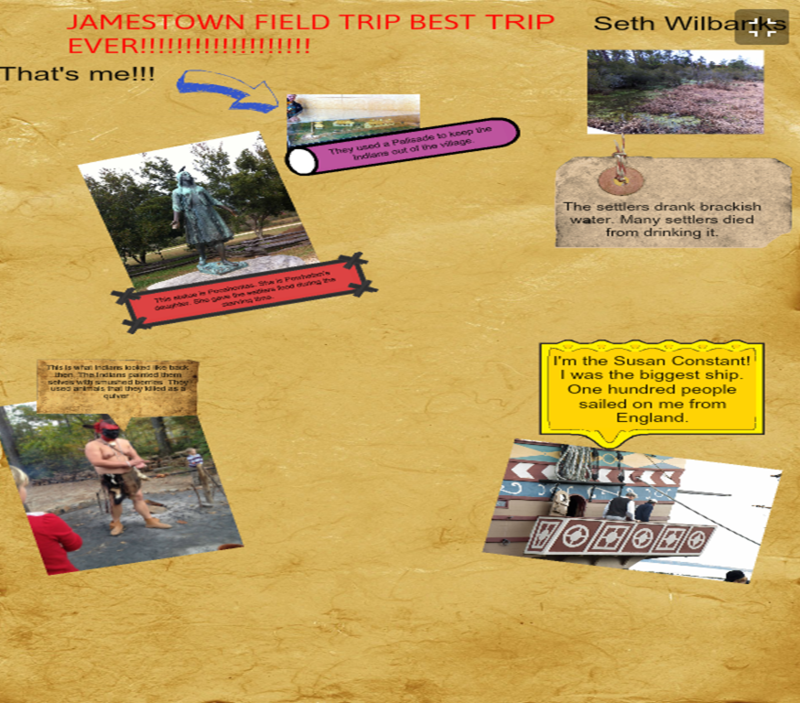 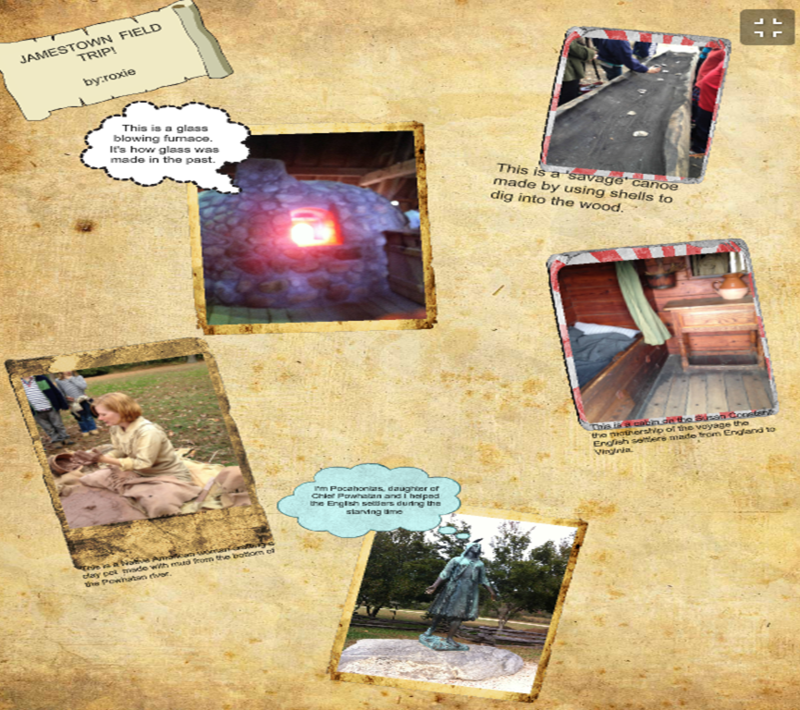 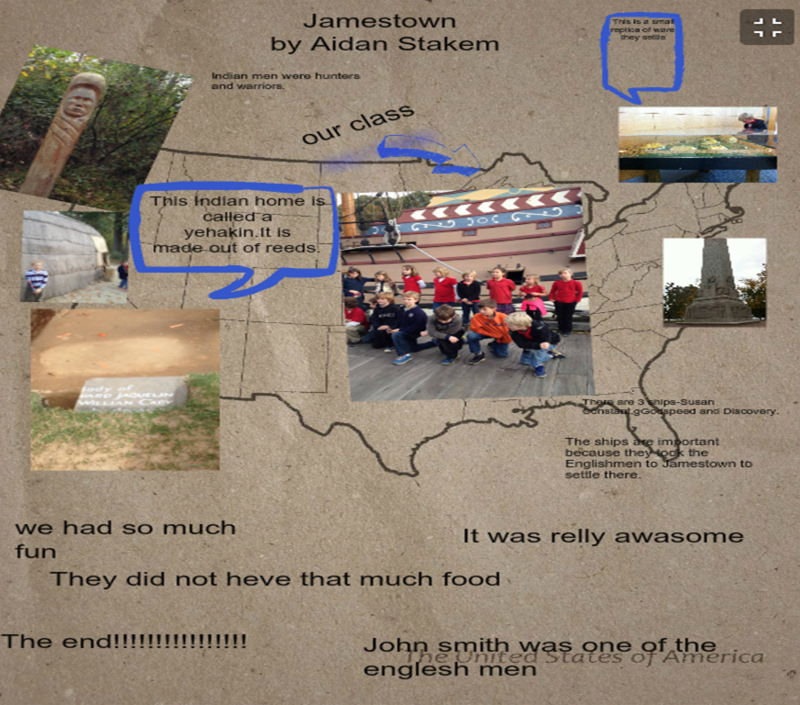 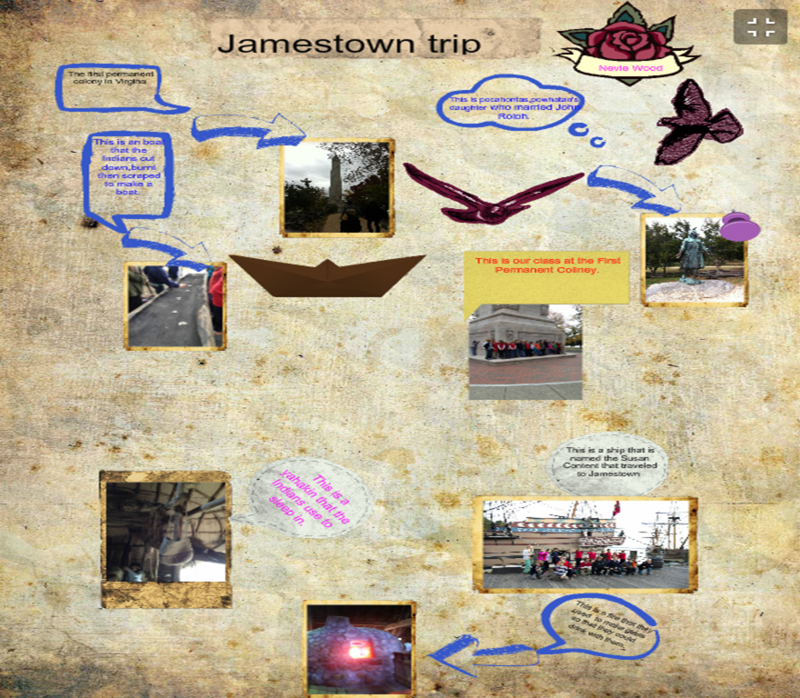 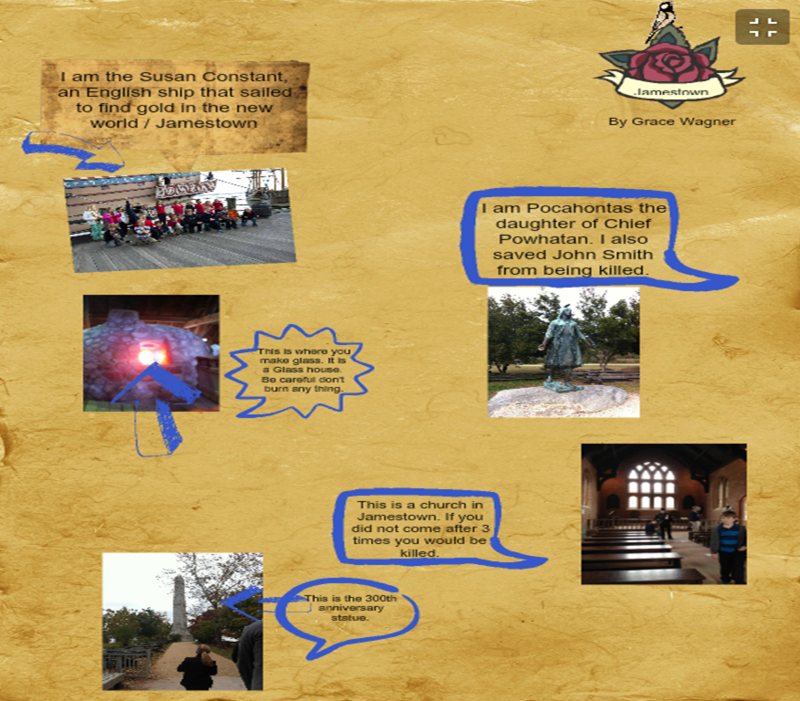 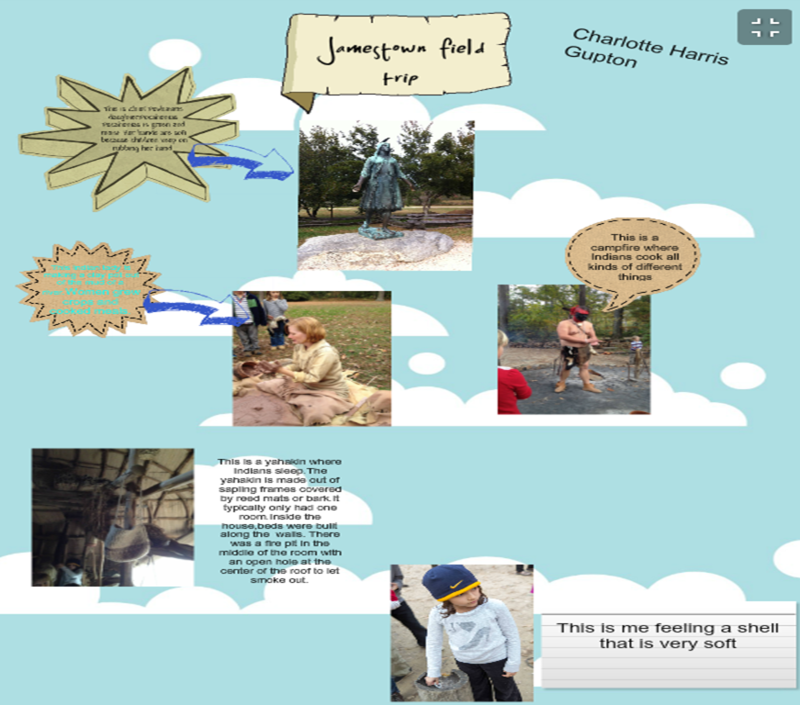 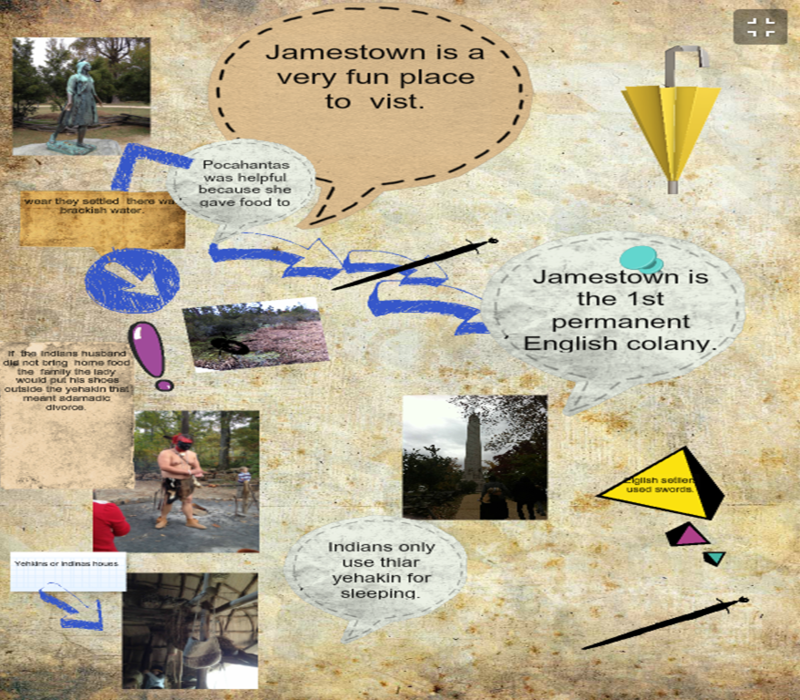 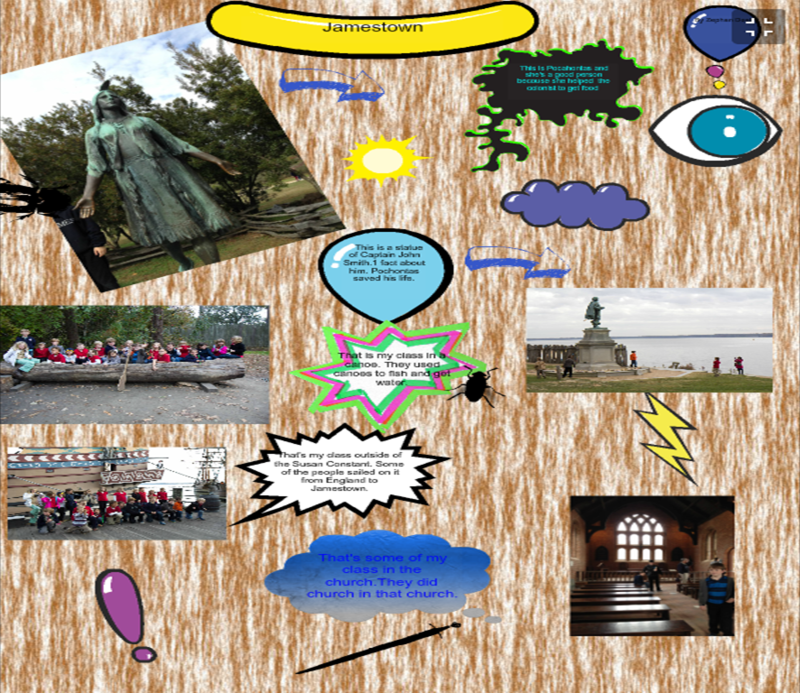 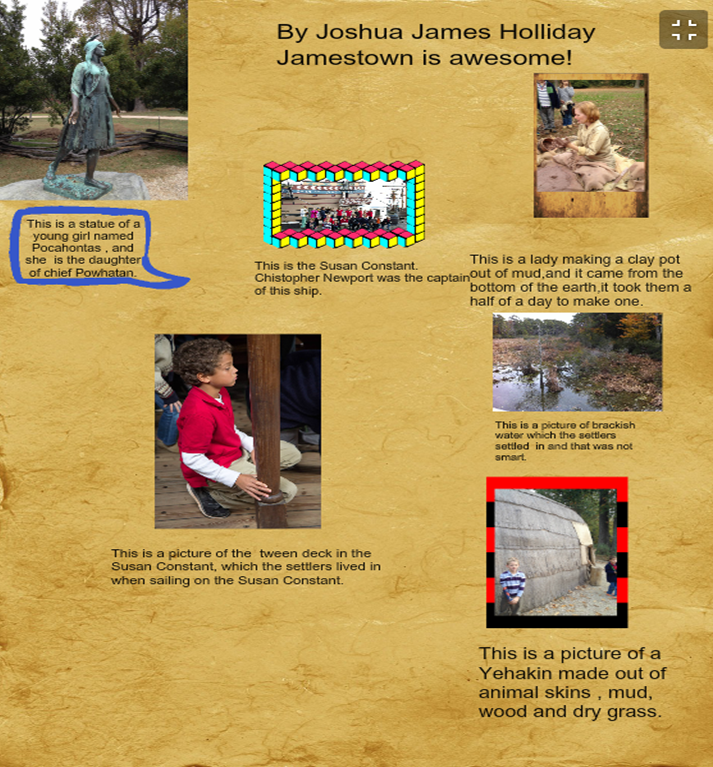 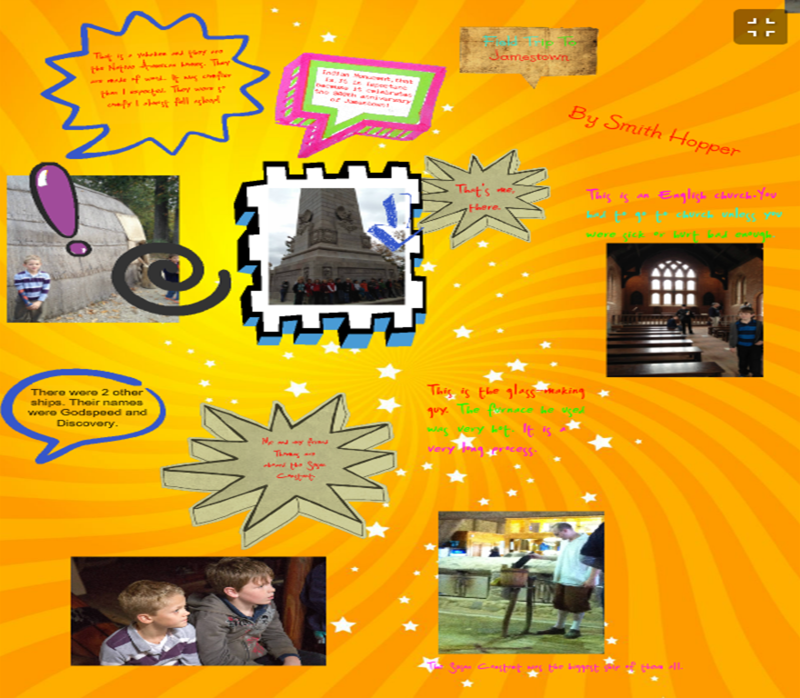 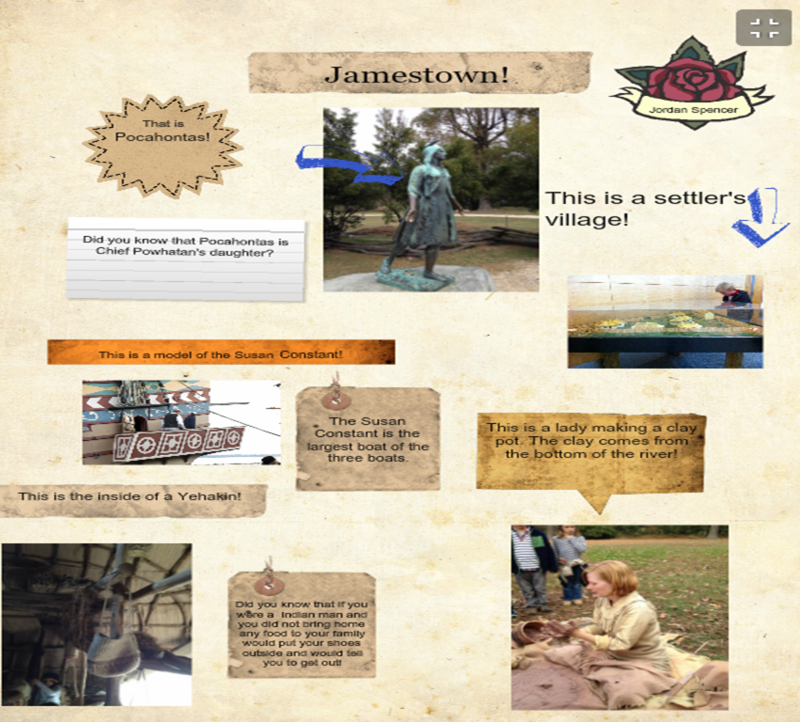 The third grade used Glogster to create an online electronic posters about their field trip to Jamestown. 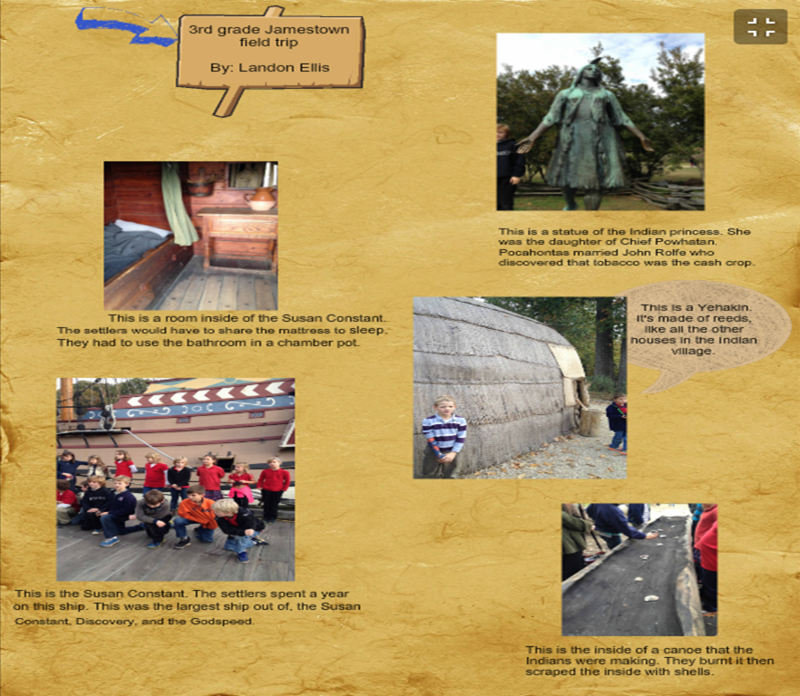 They were asked to include a title, their name, 5 photos, and 3 good facts about each photo. 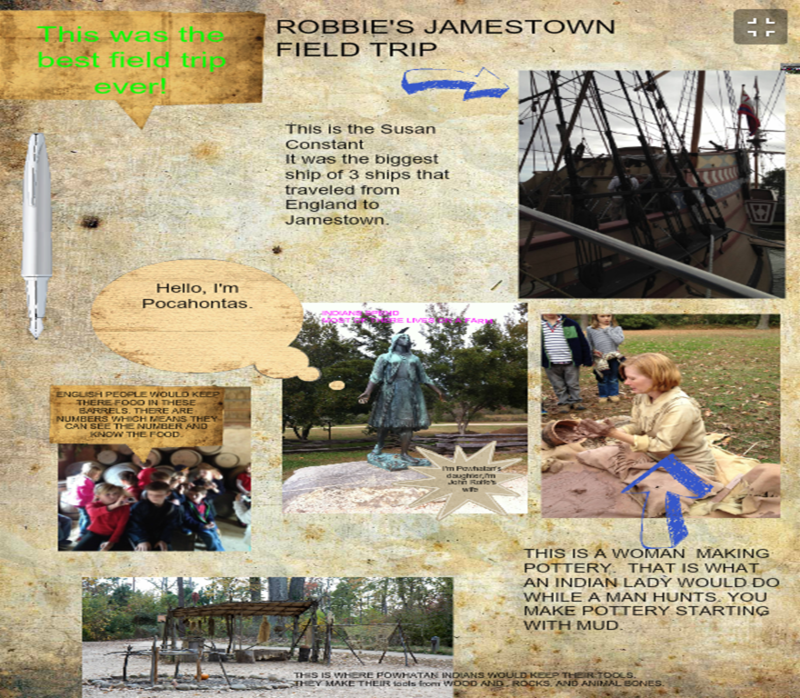 Click on the image to see their full-size Glogster.